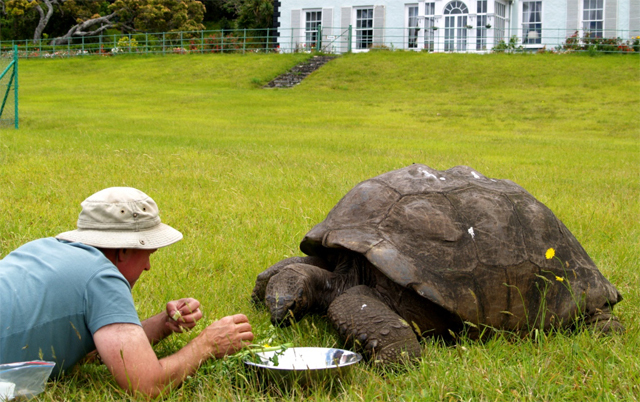 (Seychelles News Agency) - In 1882, at the approximate age of 50, one very unique Seychellois - Jonathan, a rare Seychelles Giant Tortoise, thought to be the oldest living animal on the planet, moved from the Indian Ocean archipelago to one of the most isolated and remote locations on earth. SNA wrote in May last year, how Jonathan, at an estimated age of 182, spends his days in the British overseas territory of St Helena accompanied by David, Emma, Frederika and Myrtle that have been identified using Dr Justin Gerlach’s tables (Seychelles Nature Protection Trust) as Aldabra Giant Tortoises. Since its discovery by Portuguese sailors in the 1500's, the island had been strategically important as a stopping-point for ships making the perilous journey round the Cape of Good Hope to reach the Indian Ocean and South China Seas in the race for European colonisers to claim valuable spices and territories. It also later served as the ideal solitary confinement zone for political prisoners hostile to the British, most notably Napoleon Bonaparte until his death in 1821 as well as over five thousand Boer War prisoners. It is not known if any Seychellois tourists have ever visited St Helena, but the announcement that the remote South Atlantic island is set to get its first commercial air service might just serve as a greater encouragement to make the trip and discover first-hand the incredible link between the two island nations before Jonathan’s time runs out. According to an article published by the AFP, the government of St Helena, announced on Monday this week that final negotiations were underway for Comair, a South African aviation company, to fly once a week from Johannesburg to a new airport due to open next year. Comair has a license agreement with British Airways, the national carrier of the United Kingdom. “The Boeing 737 138-seat flight will take four and half hours” reports AFP. The move is being viewed as something that is likely to trigger an "influx of tourists" to St Helena as the flights would get them to the islands quicker than the five days it currently takes on "an irregular boat service" from Cape Town. 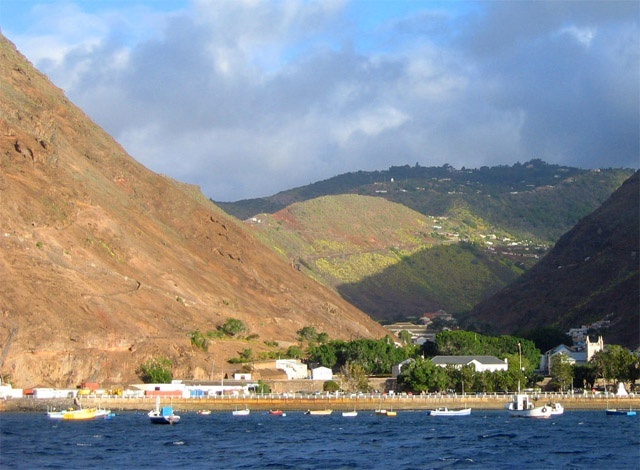 St Helena has a relatively small population of around 4,500 residents. Ste Hélène, l’île qui héberge la tortue de 182 ans des Seychelles, accueillera ses premiers vols touristiques l’année prochaine.